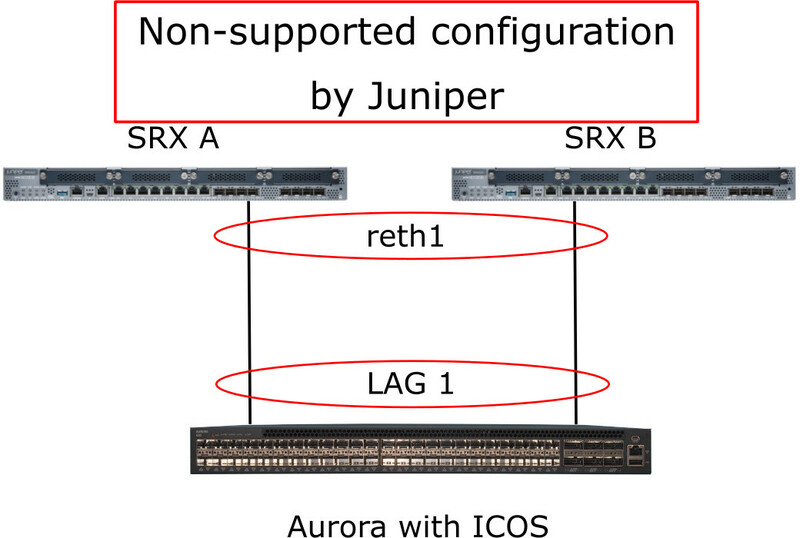 LACP on LAG in ICOS and reth in Juniper SRX series firewalls. A typical trouble when connecting an ICOS-loaded switch to a couple of Juniper SRX series firewalls is that reth interface connected to a LAG group doesn’t provide load balancing and redundancy. 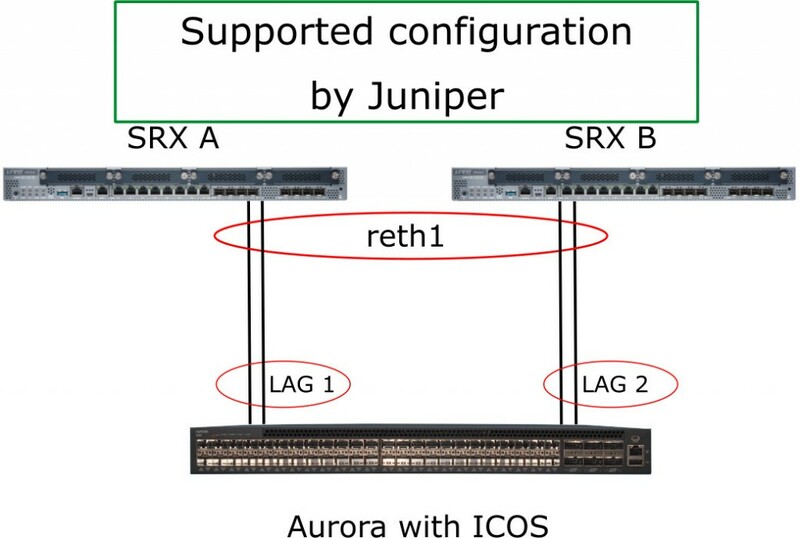 This usually happens due to an unsupported topology by Juniper, as in the Example A. The Aurora switch interfaces are in one LACP group and it is supposed to load balance; which means that it will send one packet to ge-3/0/0 and the next packet to ge-15/0/0, towards the SRX. Assume that Node0 is active, the first packet sent to ge-3/0/0 will go through and the packet to ge-15/0/0 will be dropped as Node1 is passive.